In the book, Mr. Goat can’t get his mind off of his first love. In fact, he wants his Valentine’s Day gift to be composed of some of his first love’s favorite things, like a mixed bouquet of crabgrass, pigweed and ragweed in a wonderfully edible rusty can that she can nibble on, and a delightfully foul rotten egg for her fine dining pleasure. He even cheerfully accepts a spritz of Miss Skunk’s special perfume to make himself smell just right for his first love. 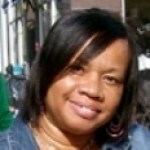 Young children and their Valentine-loving parents walk step-by-step with Mr. Goat as he traces a path from his own home to his first love’s front door. They will revel in Mr. Goat’s joy as he carefully selects each gift, and they will actually feel anticipation as they wait to see what his first love looks like and how she reacts to his gifts when he finally reaches her home. 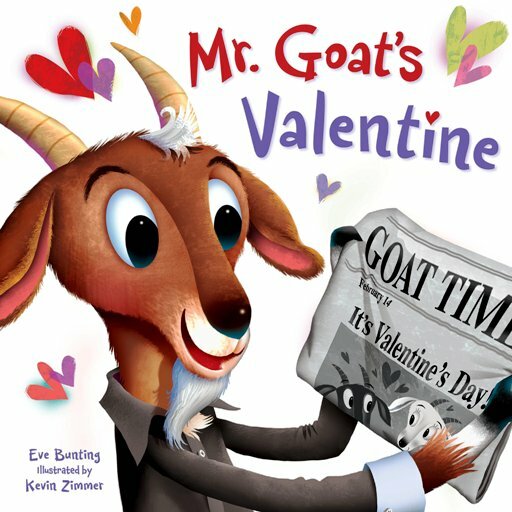 Mr. Goat’s Valentine is a sweet little book that offers a unique twist to a really old tradition, and as such, it may easily become a holiday favorite. The prose is as spot-on for its k-2 audience as it is hilarious, especially the references to the foul-smelling eggs that have been rotting to perfection for the last two years. The illustrations are to die for–or better yet, to “meh-eh-eh-eh” for. Readers will adore the round-eyed, smiling Mr. Goat; his pumpkin-headed, yawning pet cat; the rotting eggs that ooze black gook and emit green fumes; and the adorably stinky Miss Skunk. This book should do well as a holiday classic for the lower elementary grades and might be used to jumpstart discussions about humor, gag gifts, holiday traditions and feelings of love.